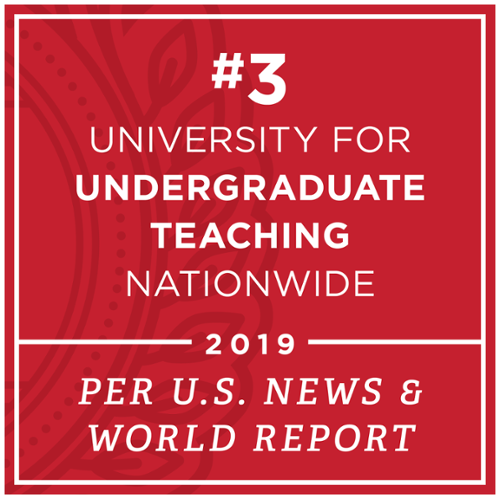 Applicants not meeting the above criteria will be considered for a full range of merit and need-based scholarships ranging up to full tuition annually. 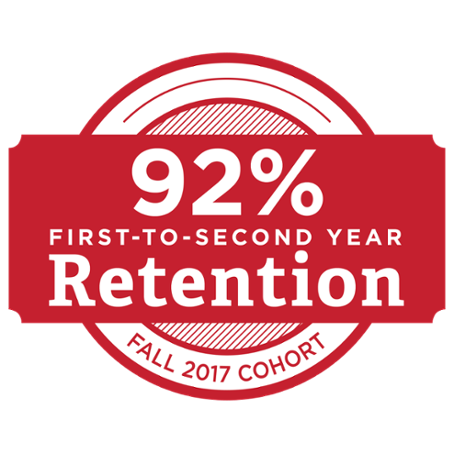 Scholarships and award amounts may be determined by additional factors including diversity, audition, portfolio, academic interest, and athletic ability. 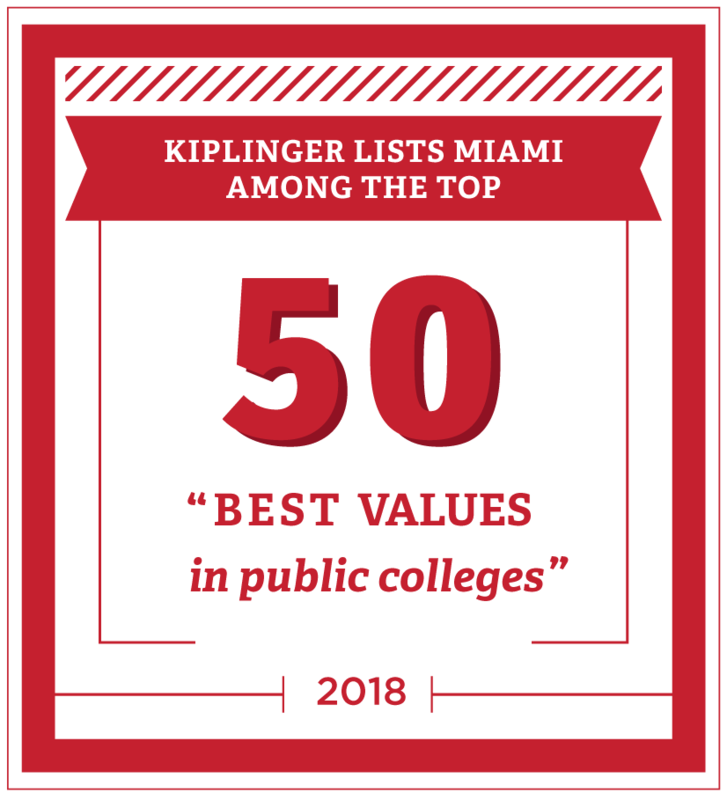 Scholarship offers and award amounts will be determined by official testing and high school transcript information submitted to Miami University at the time of application, as well as rigor of high school coursework. Additional scores for tests taken after December 1, 2018, will be considered for merit scholarship awards if received by February 1, 2019. 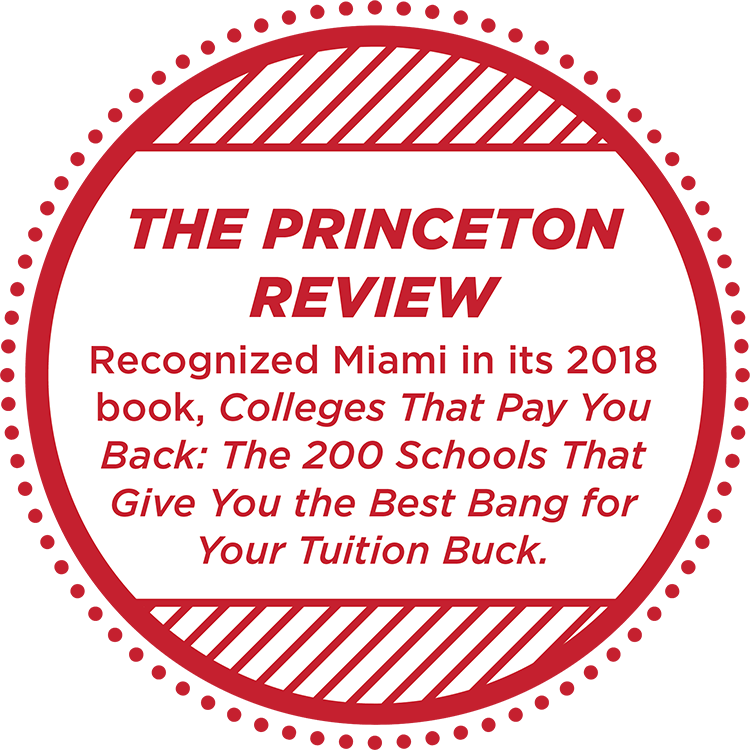 * Test Score: No preference is given for ACT or SAT; Miami superscores, using the highest test scores submitted for admission and scholarship consideration. For ACT, the highest scores for each subtest from different exams will determine a combined highest composite score. For SAT the best Evidence-Based Reading and Writing (ERW) and Math (M) subscores will be used to calculate a maximum single score. † Scholarship Range: Based on estimated 2018-2019 tuition and fees. Financial need is determined by the FAFSA. Students wishing to be considered for need-based financial aid are encouraged to submit their FAFSA by the Priority I Deadline of December 1, 2018, and no later than the Priority II Deadline of February 1, 2019. Students applying Early Decision are strongly encouraged to submit the FAFSA by December 1, 2018. Scholarships are automatically renewed for four years, provided the student maintains the academic requirements as stipulated in the financial aid award letter. 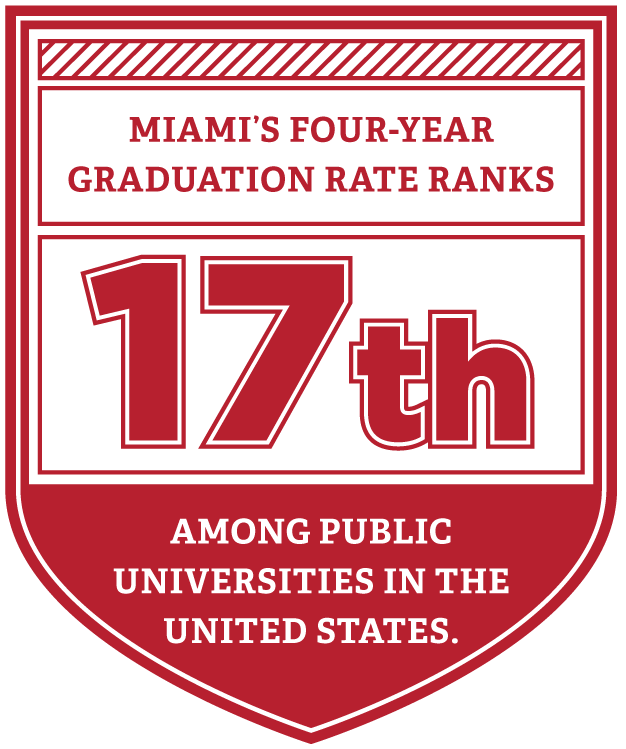 With Miami's Tuition Promise, families are provided the assurance that scholarships will retain their full value across a student's four-year experience. 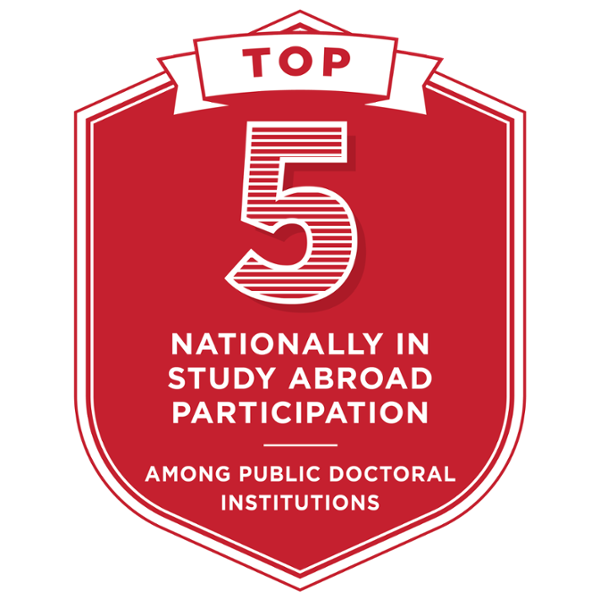 For more information, visit MiamiOH.edu/TuitionPromise.